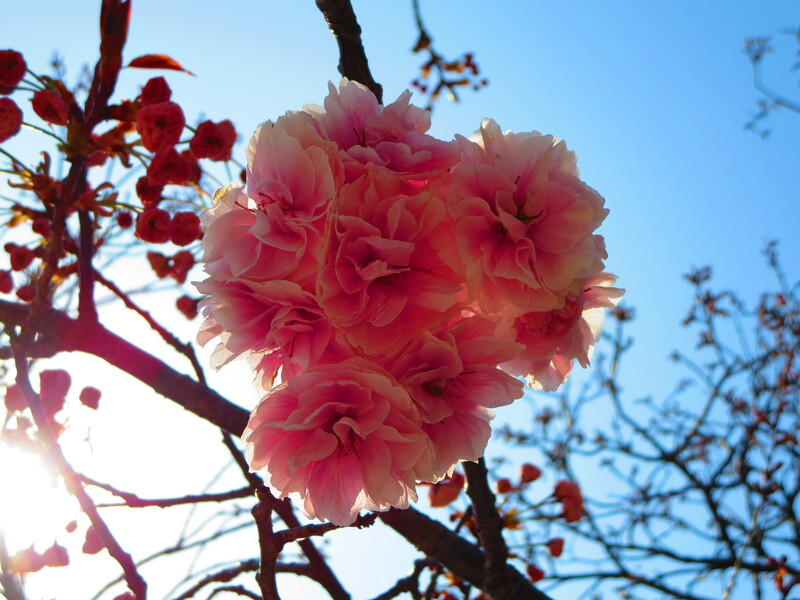 At the Imperial Palace, cherry blossoms created quite a frenzy of people. Queues formed without end, streaming in from the bus parking area, as well as father away at Tokyo Station. The crowds were unbelievable. They posed problems not just for the police officers trying to organize visitors but especially for those who came to exercise at the Imperial Palace. 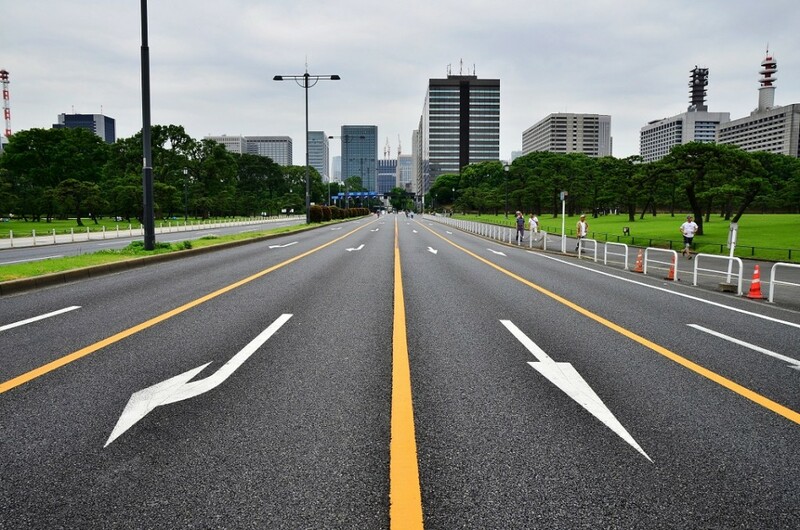 One lap around the palace grounds is approximately five kilometers (3.2 miles), which makes the palace a popular place for joggers to easily calculate distance while enjoying a nice view. With cherry blossoms in full bloom, the palace grounds were even more impressive. 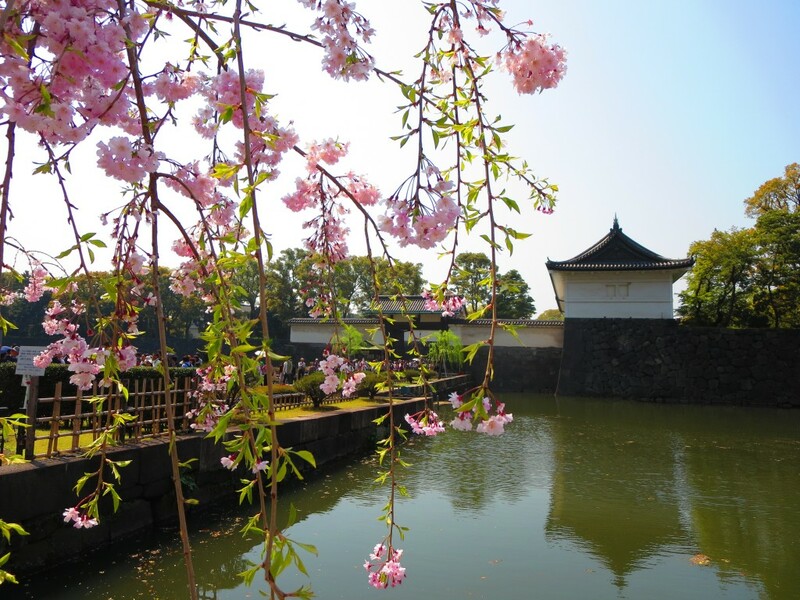 Gently blossoming branches swept over the moat, creating beautiful contrast to the old bridges connecting the inner grounds to the city exterior. While the side closest to Tokyo Station was lovely with shades of pink, the far side of the palace was less crowded and made for a pleasant stroll. Weeping cherry blossom trees, unseen in many other popular blossom viewing sites, were in abundance around the Imperial Palace. They created a magical environment with their graceful branches dipping low to ground level. 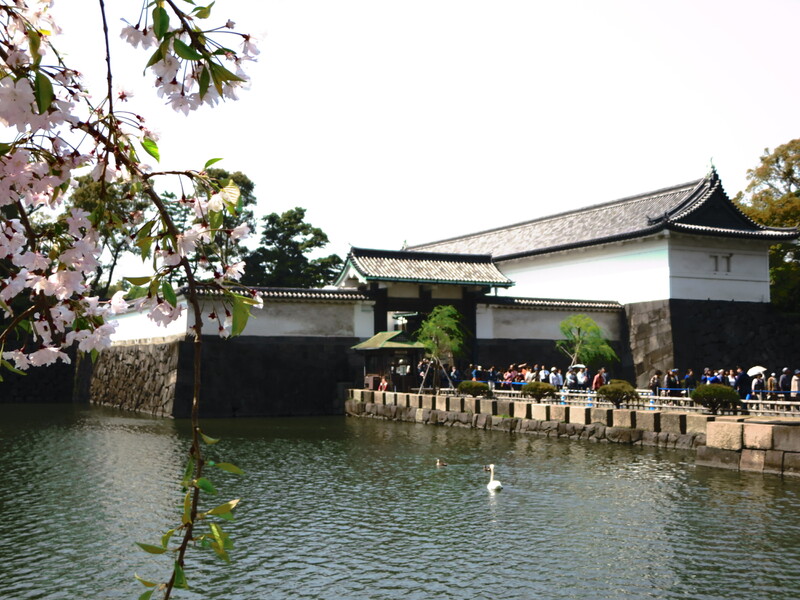 Spring, summer, fall, and winter are all perfectly good seasons to visit the Imperial Palace. Each season covers the area with a new face, making it fresh and exciting to explore. 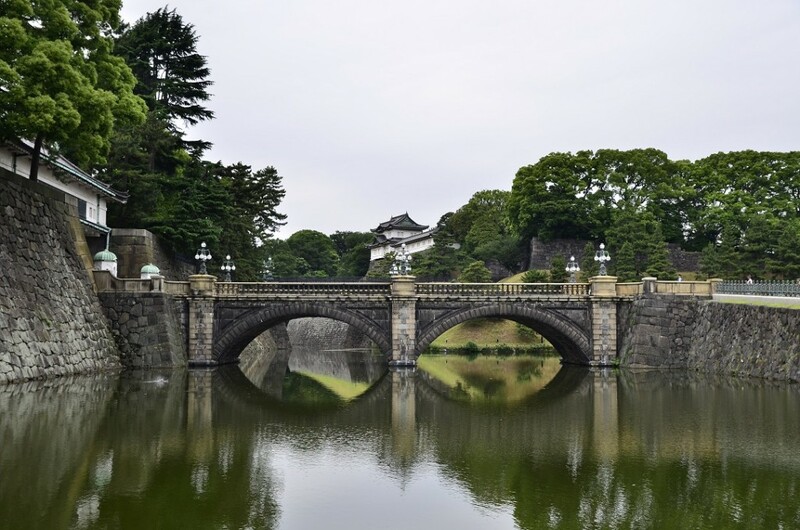 If you fancy a jog or a leisurely stroll around the grounds, head over to the Imperial Palace if you’re in the area. Don’t forget to run counter-clockwise!